This time chat with Tyler Measom. 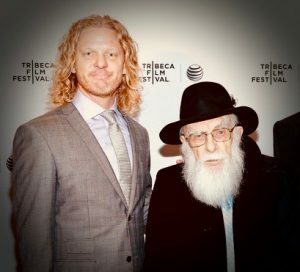 He’s a director and producer known for his documentaries “An Honest Liar” about The Amazing Randy and “Son’s of Perdition” a film about FLDS teens trying to get out of the polygamist compound in southern Utah. We also talk about his new project and how MTV changed America. This entry was posted in Podcast Episodes and tagged An Honest Liar, Bill Allred, Documentaries, Dylan Allred, Film, James Randy, Movies, Salt Lake City, Sons of Perdition, The Amazing Randy, The Let's Go Eat Show, Tyler Measom, Utah. Bookmark the permalink.